A common refrain in twelfth-century thought is that God alone knows the secrets of the heart. Originating in Scripture, the principle was elaborated exegetically to imply two distinct domains: one of external actions open to human perception and judgment and the other including thoughts, intentions, and sentiments – the products of internal acts – visible only to God. But changes in medieval penance, especially in the Fourth Lateran Council’s demand in 1215 that all Christians fully confess their sins to a priest, reveals a shift in attitude towards the secrecy of the heart. A close reading of twelfth and thirteenth-century texts from the cathedral and monastic schools shows that oral confession was to include not only visible, external acts, but also the merely internal actions formerly limited to God’s knowledge. What lay behind this shift? Should we attribute it to changes in priestly status? To the development of new techniques for breaching the heart’s secrecy? Was new value placed on the secrets subject to confession? These questions are provocative because much recent scholarship implicates medieval penance in evolving western notions of selfhood and the part played by interiority in defining the self. Lateran IV’s mandate to confess is characterized as a critical juncture in the history of subjectivity and the rise of a modern sense of self with its noted attributes of inwardness and autonomy. 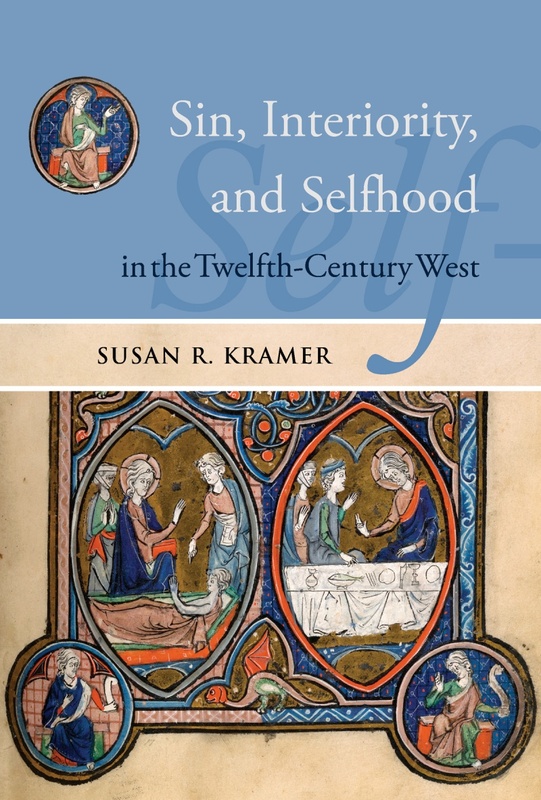 The aim of Sin, Interiority, and Selfhood in the Twelfth-Century West is to uncover the conception of self that underlay the demand that all Christians confess their innermost thoughts. Drawing on sources from the world of the medieval schools, it juxtaposes discussions that treat topics ranging from the difficulties of discerning the source of tears to the mechanics of original sin. All these discussions are linked by their underlying interest in the internal aspects of committing or remitting sin. Contextualizing these aspects of interiority allows us to see what role was assigned to internal actions in medieval definitions of the self; it also provides insight into the intellectual currents that contributed to that understanding. Susan R. Kramer first became interested in the topic of confession while at the University of Chicago Law School. After practicing corporate tax law for several years in New York City, she took up the topic as a Richard Hofstadter Fellow at Columbia University, where she earned her Ph.D. in Medieval History. She has taught courses on medieval intellectual thought and spirituality at Columbia University, Sarah Lawrence College, and General Theological Seminary. To date, her work has appeared in History in the Comic Mode: Medieval Communities and the Matter of Person (2007) and Das Eigene und das Ganze. Zum Individuellen im mittelalterlichen Religiosentum (2002), as well as the journals Viator and Church History. She is currently researching medieval forms of punishment and the church’s attitude toward the use of force.